Tell me! What is this? It is an alien. 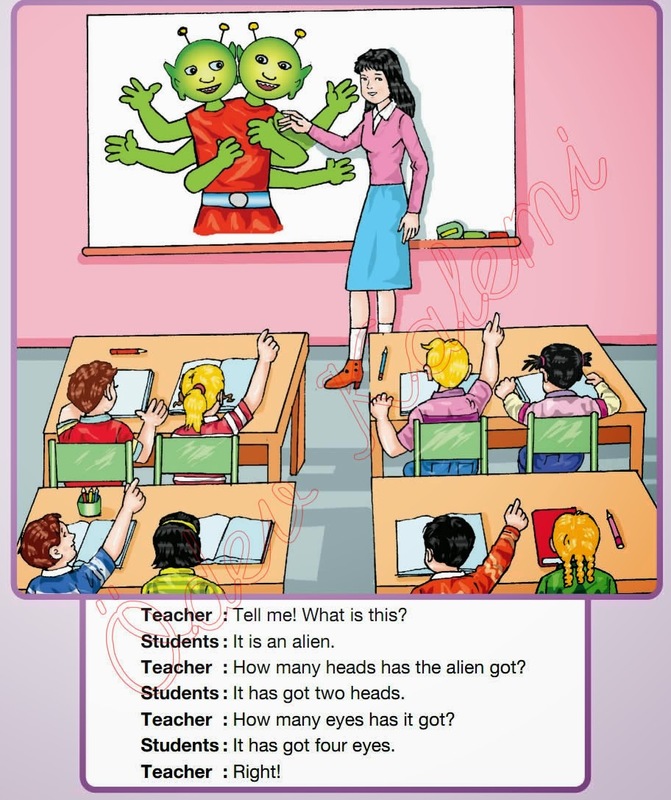 How many heads has the alien got? It has got two heads. How many eyes has it got? It has got four eyes. Right!